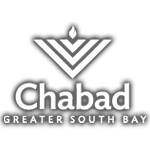 Chabad of Greater South Bay reaches out and welcomes every Jew, offering material and spiritual assistance to all. With the unconditional love and acceptance for which Chabad is famous, every Jew can find a sympathetic ear and helping hand, and answers to any questions they may have about Jewish life and practice. Founded in 1975, our mission was inspired by the Lubavitcher Rebbe, Rabbi Menachem M. Schneerson of sainted memory, whose love for every Jew was legendary. Rabbi Yosef Levin was born in Sunderland, Northern England, in 1956 to parents who escaped the Soviet Union after World War II. His family moved to London when Yosef was 8 years old. He then attended yeshivas in Israel,France, New Jersey, and New York. Dena was born in Pittsburgh, Pennsylvania, and raised in Crown Heights, New York. She attended schools in both New York and Pittsburgh. 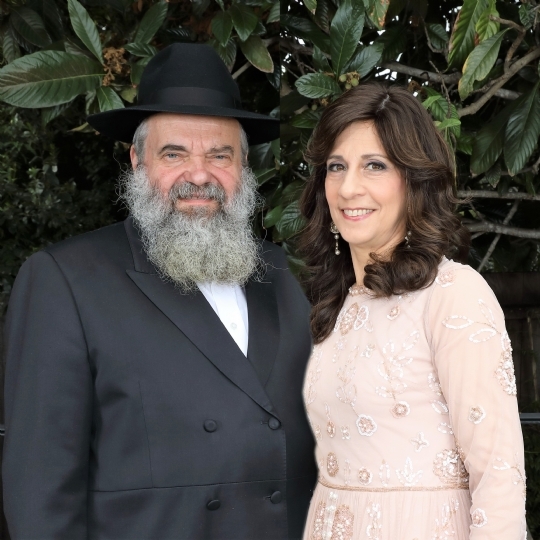 The Levins were married in New York in 1979 and moved to Palo Alto, at the direction of the Lubavitcher Rebbe, Rabbi Menachem M. Schneerson, in 1980. They have been blessed by G‑d with 13 children and numerous grandchildren. Despite their senior positions with the organization, they are down-to-earth, easily accessible and very happy to meet people one-on-one or over a bowl of chicken soup at the Shabbat table. 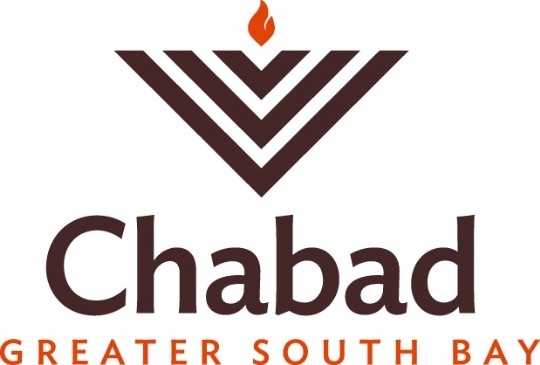 "Chabad has always been an important contributor to our South Bay Jewish Community. Their outreach is warm, open and inclusive regardless of a person's level of practice. Rabbi Levin, Dena and all their children greatly enrich Jewish life on the Peninsula." “In 1980, I became acquainted with Chabad through Rabbi Levin and his family. I was raised with little education about my Jewish roots, but something was missing. When I posted an ad in search of a Jewish roommate at the Palo Alto Jewish Community Center, I received a call from Rabbi Levin He invited me to a class, and I got a peek inside my own “Roots”. I knew I had “come home”. I saw a side of life that was full of richness and meaning. By the way Rabbi Levin did find me a Jewish roommate, he introduced me to my husband of 35 years.”. “Rabbi Levin has served as the Jewish Chaplain for the Santa Clara County Jails and Juvenile Facilities for over 30 years. He has directly helped many in our community as they go through the difficult process of incarceration. He has brought a sense of love, respect and hope to people who are often isolated from their family and faith community. "My experience with Chabad is that it is unequaled in providing counseling and assistance to those with personal crises. They have provided me with knowledge and education about Judaism that fulfills my need for informed Jewish identity." "...The love and dedication of our children’s first Torah teachers have made a mark in their heart which I'm convinced will outlast all of their life 'turbulences'."